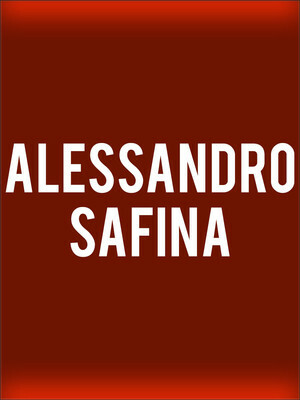 Alessandro Safina is an Italian operatic pop tenor with a passion for bringing classical music to everyone by combining the genre with pop. 17 years after his self-titled debut, the musician has created duets with The Pretenders, Dutch singer Petra Berger and Rod Stewart. Alessandro began to take an interest in music at the age of 12 when he entered a music academy to study, before attending the Conservatorio di Musica at the age of 17 to further his music education. Throughout his career, the musician has performed a duet with actor Ewan McGregor on the 2001 film soundtrack for Moulin Rouge, as well as singing at the 2001 Royal Variety Show for Queen Elizabeth and gracing some of the world's most prestigious opera houses. Seen Alessandro Safina? Loved it? Hated it? Sound good to you? 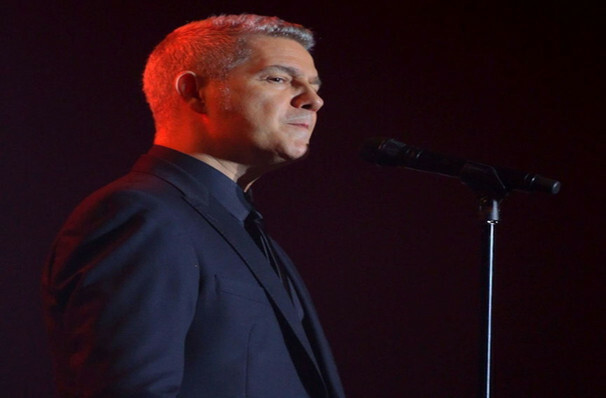 Share this page on social media and let your friends know about Alessandro Safina at Beacon Theater. Please note: The term Beacon Theater and/or Alessandro Safina as well as all associated graphics, logos, and/or other trademarks, tradenames or copyrights are the property of the Beacon Theater and/or Alessandro Safina and are used herein for factual descriptive purposes only. We are in no way associated with or authorized by the Beacon Theater and/or Alessandro Safina and neither that entity nor any of its affiliates have licensed or endorsed us to sell tickets, goods and or services in conjunction with their events.